The WILDPEAK H/T offers a combination of superb dry handling and responsive wet braking on all roadway surfaces. 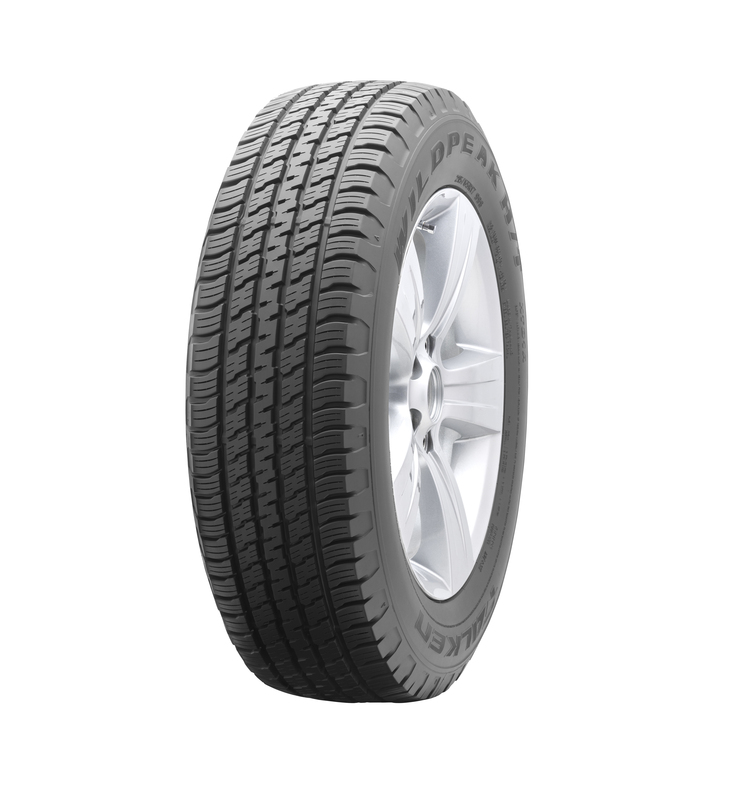 With its non-directional tread pattern, Falken has optimized traction and control. Through the combination of a high tension casing ply and stiff wide steel belts, the WILDPEAK H/T provides both stability and comfort for Pick-up Trucks and SUVs alike, whatever the season. With excellent value from its high mileage tread and optimal ride comfort, the WILDPEAK H/T leaves the competition in the dust. MULTI-WAVE LATERAL SIPES enhance wet traction and increase all-season performance. VARIABLE PITCH SHOULDER DESIGN provides exceptional all-season performance while reducing tire noise. SYMMETRIC NON-DIRECTIONAL 5 RIB TREAD DESIGN provides optimal handling stability and comfort, while allowing cross rotation patterns to help fight irregular wear.